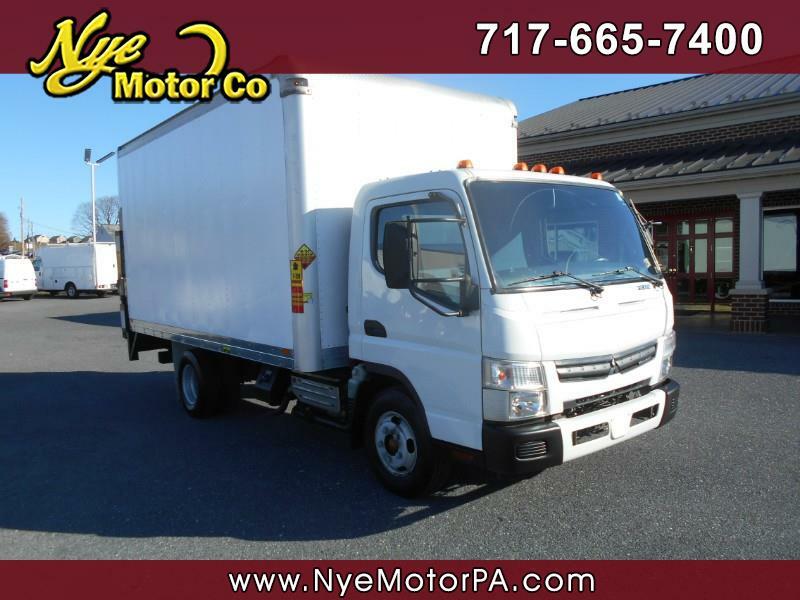 Used 2012 Mitsubishi Fuso FE 125 for Sale in Manheim PA 17545 Nye Motor Co.
****1-OWNER****CLEAN VEHICLE HISTORY REPORT****THIEMAN POWER LIFTGATE****14-FOOT BOX****READY TO WORK**** Get to work today in this fantastic 2012 MItsubishi FE125 with only 55K miles! Equipped nicely with 14-Foot Box, Thieman Power Liftgate with 1,600 Pound Capacity, Zone Defense Back UP Cam, Heat, A/C, Cruise, Tilt, Power Door Locks, Power Windows, Rubber Floor, Seating For Three, and More! Powered by a great running 3.0L, 4-Cylinder Diesel, and driven by a smooth shifiting automatic transmission. Call today to schedule your test drive. Message: Thought you might be interested in this 2012 Mitsubishi Fuso FE.